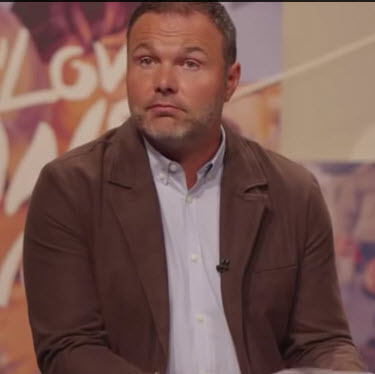 So Mars Hill elders concluded that Driscoll’s arrogance, quick temper, harsh speech and domineering manner do not disqualify him from pastoral ministry; this conclusion tells us much about Mars Hill Church. It is abundantly clear that the elders have not based their conclusion on Scripture. The attributes of church elders are clearly described by the Apostle Paul in 1 Timothy 3.2-7 and Titus 1.5-9. Here is a list of the qualifications. An elder is self-controlled, temperate, gentle, respectable and hospitable. An elder has a good reputation with outsiders, loves what is good, is upright, holy, disciplined and above reproach. An elder is the husband of one wife and manages his own family well. An elder is able to teach, holds to the truth and teaches sound doctrine. An elder is not violent; is not quarrelsome; is not a lover of money; is not a novice; is not overbearing; is not quick tempered. Evidence presented on this website shows that Driscoll is not self-controlled and gentle. Rather he is verbally violent, quarrelsome, overbearing and quick tempered. Moreover, he has a bad reputation with outsiders and is not above reproach. He does not love what is good for he has used his ministry to promote sexual licentiousness. He was a complete novice when he says God told him to start a church. We must conclude that the elders of Mars Hill church have no understanding of the characteristics and responsibility of eldership. Mars Hill has been led by an eldership team that is a mirror image of their leader, and so it is no surprise that they have done all they can to defend his false ministry. So why has Pastor Driscoll resigned? Is it because the Mars Hill business model, which has suffered a drastic lost of funds, has been so severely compromised that it is unlikely to return to profitability? October 14, 2014 Michael Van Skaik, Chairman, Board of Advisors and Accountability Mars Hill Church Dear Michael: By God’s grace I have pastored Mars Hill Church for 18 years. Today, also by God’s grace, and with the full support of my wife Grace, I resign my position as a pastor and elder of Mars Hill. I do so with profound sadness, but also with complete peace. On August 24th I announced to our Mars Hill family of churches that I had requested a leave of absence from the pulpit and the office for a minimum of six weeks while a committee of elders conducted a formal review of charges made against me by various people in recent times. Last week our Board of Overseers met for an extended period of time with Grace and me, thereby concluding the formal review of charges against me. I want to thank you for assuring Grace and me that last Saturday that I had not disqualified myself from ministry. You have shared with us that this committee spent more than 1,000 hours reviewing documents and interviewing some of those who had presented charges against me. You have also shared with me that many of those making charges against me declined to meet with you or participate in the review process at all. Consequently, those conducting the review of charges against me began to interview people who had not even been a party to the charges. I readily acknowledge I am an imperfect messenger of the gospel of Jesus Christ. Prior to and during this process there have been no charges of criminal activity, immorality or heresy, any of which could clearly be grounds for disqualification from pastoral ministry. Other issues, such as aspects of my personality and leadership style, have proven to be divisive within the Mars Hill context, and I do not want to be the source of anything that might detract from our church’s mission to lead people to a personal and growing relationship with Jesus Christ. Finally, it would be my hope to convey to the wonderful members of the Mars Hill family how deeply my family and I love them, thank them, and point them to their Senior Pastor Jesus Christ who has always been only good to us. We concluded that Pastor Mark has, at times, been guilty of arrogance, responding to conflict with a quick temper and harsh speech, and leading the staff and elders in a domineering manner. While we believe Mark needs to continue to address these areas in his life, we do not believe him to be disqualified from pastoral ministry…. 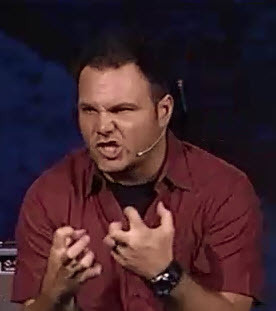 Pastor Mark has never been charged with any immorality, illegality or heresy…. 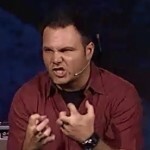 Finally, Mark Driscoll was not asked to resign; indeed, we were surprised to receive his resignation letter….